Shampoo effective, gentle and pleasant to use. This formula restores vitality by encouraging blood flow to the hair bulb which helps to promote growth. 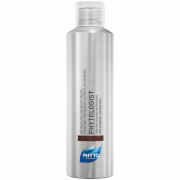 It is ideal for use in conjunction with Phytocyane Thinning Hair Treatment. Combats free radicals to protect the hair bulb. Boosts cellular exchanges and energizes the scalp. Leaves hair silky-smooth and with added body. Recommended for anyone experiencing temporary hair loss due to stress, seasonal changes, pregnancy, menopause, medication, etc. Shampoo twice. Leave the second shampoo on for one to two minutes. Rinse thoroughly. Phytocyane may be used daily. Cinchona Succirubra Bark Extract (Quinquina), Sodium Laureth Sulfate (Dérivé D'huile De Coco), Water / Aqua (Eau Purifiée), Cocamidopropyl Betaine (Dérivé D'huile De Coco), Lauryl Glucoside, Peg-200 Hydrogenated Glyceryl Palmate, Peg-7 Glyceryl Cocoate, Hydrolyzed Wheat Protein Pg-Propyl Silanetriol (Dérivé De Blé), Fragrance / Parfum, Panthenol (Provitamine B5), Propylene Glycol, Ginkgo Biloba Leaf Extract, Guar Hydroxypropyltrimonium Chloride, Pyridoxine Hcl, Vitis Vinifera (Grape) Seed Extract (Procyanidols De Raisin), Phenoxyethanol, Parabens (Ethyl, Butyl), Methylchloroisothiazolinone, Methylisothiazolinone, Citric Acid, Tetrasodium Edta, Sodium Chloride. Being a little apprehensive, having tried many other shampoos and treatments in the past, I was taken back at how effective, gentle and soothing this shampoo is. Leaves my hair feeling and looking thicker, healthier, glossy and easy to manage. Thank you Skin Store. 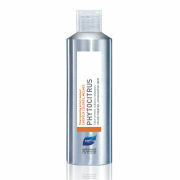 Great Shampoo for Fine Thinning Hair! I don't write alot of reviews but I have to spread the word how good this is for those of us with fine and/or thinning hair. I have highlighted baby fine hair that just lays limp. After the first time using this Phyto shampoo, I noticed an immediate difference....I styled with the blower dryer and my hair actually looked full and healthy for a change! 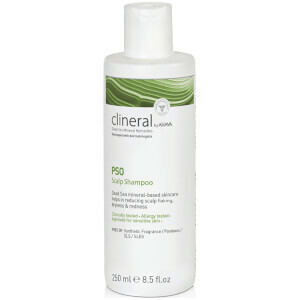 I was really impressed as I've tried alot of volumizing shampoos in the past which were a waste of $$$. I was always cleaning hair out of the drain but have not had that issue when using this shampoo. I pour it into the cap and apply it directly on to my hair. It lathers wonderfully (smells great too) and I leave it on for at least two minutes before rinsing. I was able to comb through my hair easily without using any conditioner afterwards (and I have hair that tangles very easily). My highlights have not faded. 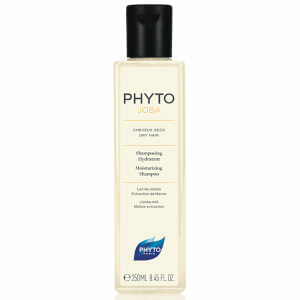 I definitely plan on trying some other Phyto brand products in the future! Great value too...glad I tried it and will continue to use in the future. love it, it is cooling and very cleansing! I'm in my last year of nursing school, a few months ago I noticed I was losing mass amounts of hair due to stress. Since starting the phyto regimen I've been losing less hair and it's super shiny. I think this shampoo works great. The first time I used it I noticed less hair in the drain. The product is watery. I took advice from a review I read and poured the product into the cap then poured on my wet head. I get a nice lather and it all ends up on my head and not the floor. I like the smell, clean and earthy. Helps with my shedding problem. I, for some reason, shed excessively. I am always finding my hair all over everything! I have black thick curly hair that never seems to get thinner, yet I shed like crazy! Anyways, I've used this three times and so far I have less shedding. It is watery but lathers very nicely. Remember to leave it on for several minutes so it can penetrate your scalp. I also like that this is a natural product. I'm excited to see what more uses will bring! Happy I am not shedding as much anymore, it really makes a difference. What everyone says about the consistency is true, it is quite watery. However if you put the cap down before you pour it in your palm, you can keep the product in your hand and get it on your head. Once you are done, just replace the cap.As for the efficacy, I have been using the product for several months now and have noticed that my hair is thicker. I keep my hair very short, so thinning can be quite evident, but my hair now looks normal. Halleluiah.